Native 64-bit versions for Mac OS X Audio Unit, and Windows VST. New built-in Preset Browser with support for xml, fxp, and fxb preset files. Presets can now have meta-data, such as author name, notes, and tags. Use meta-data to search your preset library. 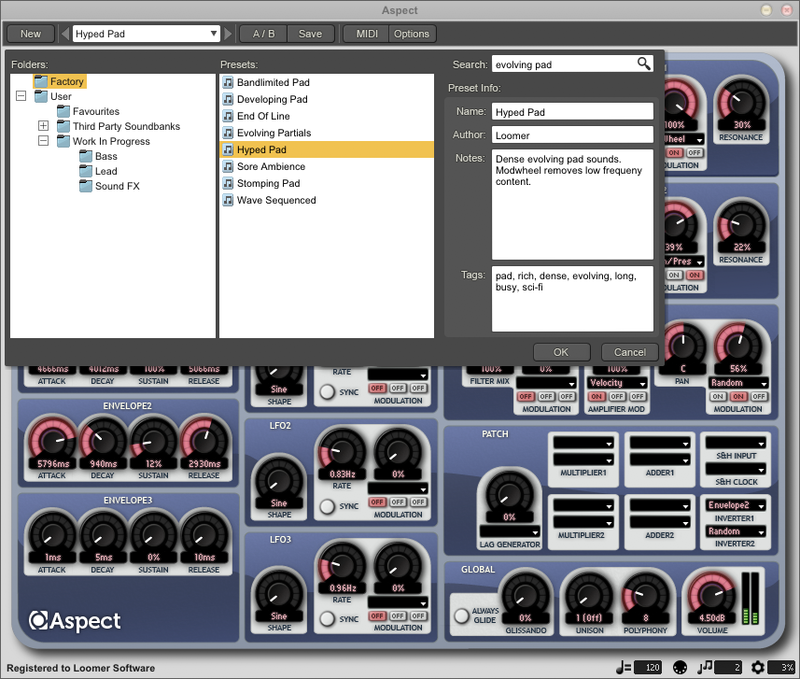 Hot-swap preset browsing: quickly step through and preview presets in context. Audio-rate pitch modulation of Oscillator 1 from Oscillator 2 now works. Sample & Hold module's latched value is now correctly reset when the the input source is removed. Slight reduction in CPU usage on particularily complex presets. Clearer font rendering: a larger font is now used for menu items. Additional and improved factory presets. Hey, any chance of a 64-bit Linux VSTi? 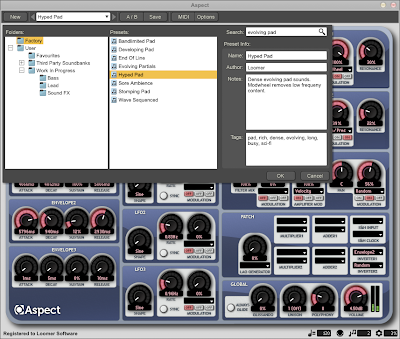 Absolutely - the next release of Aspect (1.7), should come with a 64-bit Linux VSTi version. Beautiful, thanks. I use Resound all over the place too, that would also be excellent to have 64-bit.